Overall this was an A experience. 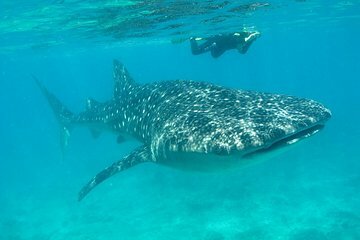 The only suggestion is that they cut out the ‘lagoon’ break at the end of the trip and add a 3rd encounter with the whale sharks or just get back to the dock earlier. Excellent staff, boats are as comfortable as a small boat can be. Food is adequate. Note- ticket says meet them at 630..... it’s actually 7am so don’t rush to get there earlier.